The weathers crap, I feel crap, thank god the fishing’s good! Well this month has followed on in the same format as January with the weather once again doing its best to make most anglers hang up their rods up till the spring, yet for myself I’ve luckily continued to dodge the downpours and place the net under a few specimens. To be honest it’s Friday the 28th February and for once I have to admit that after arriving at a fishery, simply took one look at it, knew that I wasn’t going to enjoy it and turned the car around. Just one look at the water clarity instantly told me that a blank was inevitable. I have to admit that this season I feel for the first time after fishing the lake for probably thirty years I can now claim to be in tune with it, well almost because next week it will almost certainly bite me on the bum! With the clarity wrong and a wind from the north, rain constantly falling and a temperature of just 4.5 degrees at 5pm, sometimes you just have to do the sensible thing and with a chesty cough that I cant shift finally threw in the towel! The daily inputs into the fishing diary continue to do its job, logging weather conditions, venues visited, type of visit, duration of session and off course fish caught and on what. Fifteen times I have found myself next to the water and these have been split between, guiding (1), features (1) and fishing for myself (13) along with two days spent attending the Nash stand at The Big One at Farnborough. One of the most rewarding parts of the show was when the Korum Consultant Team arrived at the doors and all, well nearly all, came up to see how I was doing. Thanks Chris, Dia, Ade and Adam it meant a lot to me. Inside the show was busy as usual and as always the Nash stand was ever so popular with the new Scope and Dwarf rods attracting loads of attention as was the new Instant Action bait range (if you like catching commons then get some Tandoori Spice boilies, you wont be disappointed). The guiding days have taken a bit of punishment this month, basically because all but one of the six days that were booked in had to be cancelled and rescheduled either due to the weather or the customer going down with man flu. The one occasion I did find myself helping an angler was on one of February’s better days. My customer Chris has like me drifted away for one reason and another from barbel and with the rivers in flood needed an alternative. He suggested pike and with a personal best of 12lb to beat created a difficult challenge. In short he received seven runs, five were missed due to not setting the hooks (it’s a learning curve), one weighed 9lb and the other was possibly a new personal best. In short on unhooking the pike I noticed the tail of a perch in the pikes throat and on pulling it regurgitated a headless and gutless perch that in its prime must have weighed around 1lb 8oz along with two large crayfish claws! Placing these on the mat I lifted the pike to take a reading of 11lb 15oz so quickly dropped the remains of the perch and crayfish and took a new reading of 12lb 9oz. Whether he’s accepted this as a new p.b I don’t know but it was a nice moment. Having all these cancellations rescheduled for March/April along with feature material already booked in next month is certainly going to be a busy one, lets just hope the weather improves. 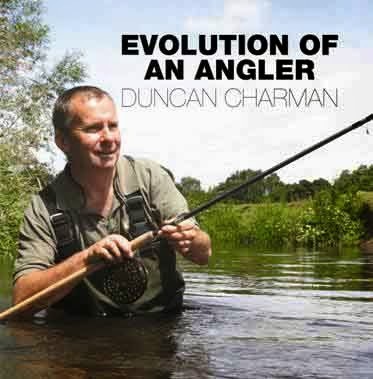 As for the feature this was created for Anglers Mail, an Action Replay starring Chris Currie. If you are a club carper then keep an eye out for this one as it will teach you loads! Back in the office I looked at what writing I had done and it seems I’m ahead of myself after completing a number of European articles plus plenty of bits for Anglers Mail and Coarse Angling Today. As for my own personal sessions these have mainly been campaign sessions targeting the rudd at Frensham (results soon to be revealed) yet I have been chucking a few boilies at carp and dropping a deadbait here and there and out of these visits have only blanked once. One session was at Broadwater Lake with my mate Chris. The fish were showing at distance, yet Chris was dropping short due to using 15lb line. Using 10lb line I was able to reach the fish and had taken a couple of early modest commons which have been becoming a bit of a joke of late, so when I received my third run I said to Chris, ‘you take that one, it will only be another little common’. I have to admit to feeling a little cheated when I was clicking away with the camera as he held up one of Broadwaters originals! I was hoping to have a go on the rivers and bag myself a barbel/chub or two but it’s a sign of the times I'm afraid as on the one occasion I headed to running water, a Tuesday afternoon, six cars were already in the car park, so not for the first time this month turned the car around. The barbel days on the river Wye this September are proving as popular as ever and days are fast running out so if you are interested then get in touch soon otherwise you will be disappointed. One thing I have noticed this month is how quickly the nights are drawing out. The tench have responded to the lengthening days and started to show and the daytime temperature is on the increase. I wish I could confidently say spring is just around the corner, yet if I do this will only lead to more teeth marks on my arse I expect. Although I’m not wishing my life away I’m sort of looking forward to completing the campaign sessions and get my teeth into something new. A few exploratory perch trips are on the cards in March. Carp and catfish will also feature and hopefully these trips will coincide with some sunshine, dryer nights and I will be able to get the bed chair and Groundhog shelter out and spend a few nights under the stars, something that I’m missing like hell. 1. Early morning action on Nash Scopes at Broadwater. 2. Top tip, don’t let a friend take a bite on your rods! 3. This 9lber was followed shortly with a personal best, I think! 4. If you want to catch lots of commons, get on the Tandoori Spice! Thanks very much for the images, they are going up at work to keep me smiling and to remind me I need to make that time to get out. I had a fantastic day on Friday, a real eye-opener for me, especially for swim selection. We are not too far apart in terms of keeping things simple and getting up and down the bank, but the small details you showed me, like adjusting the length on the running feeder to put your bait higher or lower in the water, rotating the order in which you fish your chosen swims, and setting the rod tip pointing closer to where the bait is are just the those little extras that will create confidence in my approach in the days to come. I know the low, clear conditions on the Loddon were against us, but your knowledge of that stretch kept the bites coming and with a bit more anticipation on my part it may well have been possible to put a five on the bank, I'm sure. I have to say that if the frosts and snow come I'll be over to Dockenfield to see if there are any chub there still. And maybe a new stretch or two? The bread flake approach has got to be a winner there too, don't you think? The Blackwater was also an absolute joy too, and free, to boot! Although I do owe you a big apology for putting the float in the oak, twice! Again, tight, intimate fishing, knowing your water inside out and having a viable and simple tactic to match the conditions guarantees fish. No net busting fish (apart from those massive gudgeon! ), but a steady trickle to start with and a very mixed bag. That was my kind of day out, something to keep you interested at all times. I sometimes wonder why I don't see more people fishing that way, but as you elegantly put it, you are fishing for your next fish, not that monster that's going to get your picture in the angling press. A short session good for my confidence, especially on handling the Pin. Pure magic for the cost of a rod license. Thank you. I have to say the highlight of the day was not putting a PB on the bank, although that really made me smile, as you know, even though it was only a scraper four. For me it was your willingness to share your knowledge: where the big fish were caught, where the best swims were, the little tweaks to the rig to put an edge on your approach. I'm guessing that there are only a few top anglers like yourself that are prepared to go to that level of detail to help blokes like myself progress. The day was a massive lesson and I can't thank you enough for sharing your knowledge and experience with me. And boy! What a confidence booster! And the joy of just simple fishing. Back to the days of bread and maggot, hooks tied simply but well, no fancy rigs, just man against fish (which reminds me, I reckon a size six or eight straight through, with a swan shot or two pinched about a foot above the hook, and a massive lob worm double hooked will account for a few big chub, the odd barbel and even a PB perch on that stretch). A brilliant day, I have taken so much from it. Many thanks. All the very best in your pursuit of piscatorial excellence! Most anglers that targeted tench last year had their worst season ever (2012), just the lack of big fish in the press proved how hard it was and it wasn’t just certain venues as all seem to be real head bangers. Why this was we will never know, but two weather factors that were different to the normal were the lack or rain during the winter and the extremely hot months of March and April. One thing I did notice was the abundance of natural food in the venues I fished, bloodworm especially, and this high concentration of food could well of been what they were preoccupied on. This spring (2013) has been the opposite with temperatures struggling to get above freezing in March and snow continuing to fall across the country, so I’m predicting much better things this year. Catching by design has always been very important to my fishing and this season I’ve set a target of beating my personal best tench of 10lb 3oz. Although that tench was caught during a campaign for the species it fell to the opportunist tactic of float fishing in the margins using a tiny size 18 hook and double maggot on a 2.64lb hooklink! Leading up to a campaign is without a doubt the most thought provoking period as the angler has to first find a venue, before ordering bait and tying up rigs. This may sound simple but let’s take a look at each in slightly more detail. Venue choice. Some anglers maybe fortunate to be returning to the same venue, however if like me, your looking for a change of scenery finding the perfect lake is far from easy. 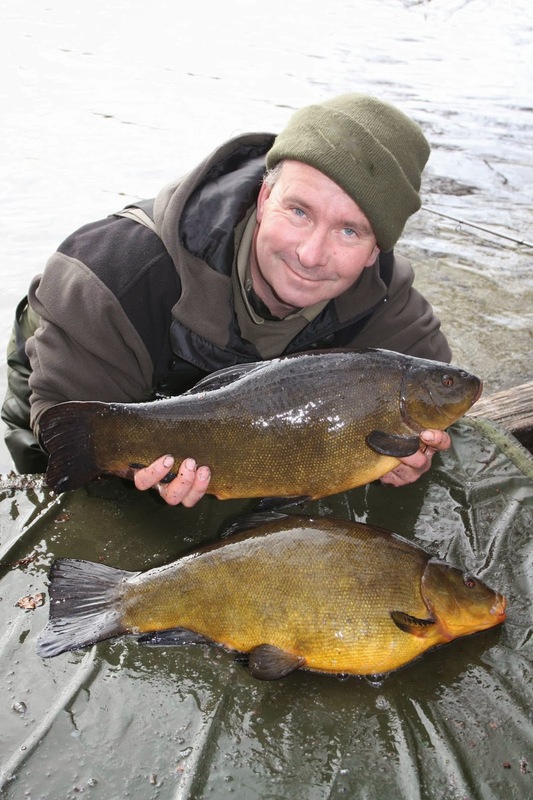 A double figured tench is a fish of a lifetime, a rare beast indeed, however speak to the wrong person and it will seem as these are a regular visitor to the bank on most club waters. Usually locating big fish come through word and mouth, competent carp anglers or anglers in the know, not from club officials or local tackle shops as these are often trying to sell a club membership than help you achieve your ambition. Areas such as personal safety, the cost and availability of ticket and obviously potential reward were all taken into careful consideration and having five possible venues up my sleeve, one stood out from the rest. These are some of the reasons I made my choice. Possible rewards. This was the only lake that I personally knew held massive tench as it was a venue I spent a few nights on, many years ago targeting big eels. I have to admit it I didn’t catch any eels, but did see a tench that I estimated at 12lb come waddling past me one early morning. On two other instances I have been told of multiple catches of double figured tench in a session, sounds a bit tall, but I just can’t ignore them. Personal safety. Being a club venue the lake is secure and only accessible through a locked gate. Availability. Membership available and commencing from 1st April. Angling pressure and venue cosmetics. Mainly fished by carp and pleasure anglers with no known specialist anglers targeting tench. The lake is a big shallow gravel pit so the water will warm up quickly and the tench likely to feed very early in the season. The venue is quiet yet the typography is like an egg box so my rusty feature finding skills will have to be fine tuned. Other species. Mainly carp, a few big bream, tench plus the odd big eel. Other species like pike, perch, rudd, skimmers and roach are probably present. Location. Unfortunately this was one that went against the venue as it’s around a 100mile round trip, however hopefully each session will last 48hrs, not the usual overnighter, so this won’t feel as bad and its close enough to home, to pack up if needed in an emergency. What’s next? With the venue sorted my next job will be to find out as much as I can about the lake. My eyes are without a doubt my best sense for locating my quarry so as soon as my club ticket arrives I will be heading to the venue well before dawn so I can sit and watch the water for signs of fish. The tackle will be in the car just in case I stumble on fish, yet this day will be spent feature finding so when I find myself on the lake ready for my first proper session I have an understanding of what’s in front of me. Bait. I keep thinking of numerous past tench articles that I have read when the angler prepares a particle mix which includes everything such as maggot, hemp, corn, pellet, wheat, casters, groundbait, you name it its in it. For the life of me I cannot see the reason to give my target such a diverse meal, knowing well and truly that tench can be as finical as any species, accepting one particular item and ignoring the rest. It’s like making the job of catching them ten times harder before you start. I have always worked on the principle of matching my hookbait with the feed I’m going to introduce and as I’m going to be starting my tench campaign early this spring feel that if I can also match it to the natural food that’s available then I’m half way there. For this reason my main baiting approach will consist of the introduction of hemp and maggots, the hemp representing small water snails and the maggots, bloodworm. The hemp is bought in bulk from an animal feed stockist and I have been saving and freezing maggots from past sessions which will help keep the cost down. As the venue is heavily carp fished I will also keep my options open, especially in the first few sessions and knowing boilies are introduced these will be introduced to a different area with one rod fishing a 10mm Nash Monster Squid over the top. Its worth asking around when buying boilies in bulk as some tackle shops will give you a discounted rate. Obviously I will change both rods to the preferred bait once I start catching and haven’t ruled out other approaches if neither of these produce, yet I won’t start to get worried until I start seeing fish move within the lake. If I start seeing tench in the margins I wouldn’t rule out using the ‘Ground-bait Lead’ with corn or a soft pellet on the hook as discussed in previous articles or having to resort to plastic maggots if small fish are problematic. Rigs. Some angler’s prefer to use a semi-bolt rig for tench yet for me the helicopter-rig beats all when using maggots on the hook. It’s an absolutely fantastic, self-hooking rig that has never let me down and couple this with its anti-tangle properties will always be my first choice. The rig is simple to create and the main components are a size 16 super-specialist hook, 4 inch 6lb fluorocarbon hooklink and a 30gram maggot feeder. This rig is designed to be recast regularly and I would try my best to refresh the feeder and bait and recast every hour throughout the session. Although the helicopter rig has been tried and tested I may have to use a leader due to the typography of the lake bed as well as changing the hooklink to a braided one due to gravel bars, however I’m not going to change things until I have to. My second rod which will be fishing a double 10mm boilie will probably take more adjusting throughout the first few sessions. Initially I will start of using a semi-bolt rig consisting of a Nash Diffusion camo leader, 2.5 inline lead, 6inch braided hooklink with a size 10 barbless hook and five bait stringer attached to this. Baiting. Although this is something that will be fined tuned during my first few sessions, I feel that it’s a good idea to have a game plan in your head before setting out. Apart from when bream fishing I have always tried to fish for one fish at a time, carefully edging my way into each session, as this gives me a much better idea of what’s happening sub-surface and how the fish are reacting to my bait application. The first session will probably see me spodding out three or four kilos of hemp, maggots, broken and whole boilies with the helicopter rig being recast regularly to top the swim up, with the boilie rod cast far less. Obviously if I’m fortunate to catch a few fish on the first session then I can start building a picture of feeding patterns and top the swim up prior to these without disturbing it. 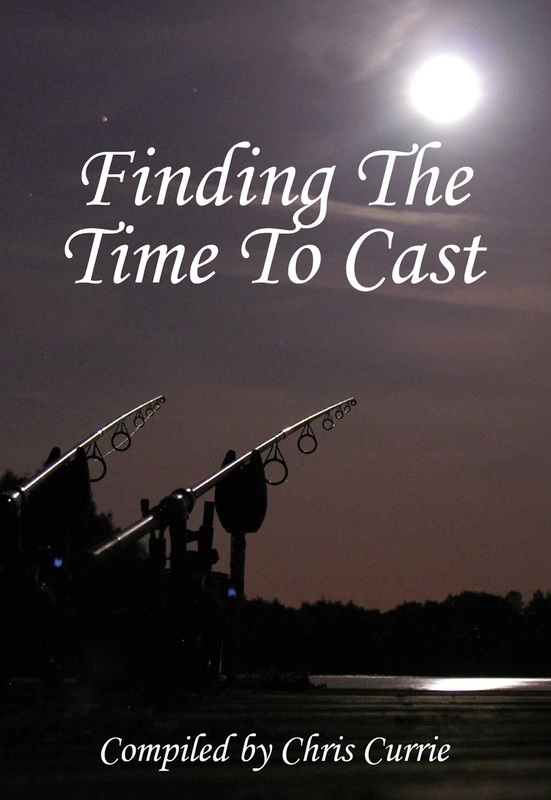 Part two will give you an insight into how the first few sessions progressed, the catches and the problems which had to be overcome Fishing is far more complicated than most think and getting the best out of each session is a learning curve. This is all part of the fun of fishing and the satisfying, rewarding feeling when results start to come together. My initial plans above will change, I promise you this, as each venue is different, however I will be keeping you well informed on how things transpire. It’s more than 25years since I last fished Rookery Reservoir controlled by Oakhanger Angling Club who kindly sent myself a complimentary ticket a few months ago. Back then I was a keen match angler and remember the lake as being a hard venue once winter set in and back then contained a good head of carp along with a few crucians and tench as well as roach. It made history briefly by turning up a 40lb pike which was sadly moved to Frensham Great Pond but sadly past away shortly afterwards. It was also home of some rare leather carp, some of which I’m told still remain today and have grown to over 20lb. Its strange how some venues look so different after such a long break but Rookery was just as I imagined, in fact it had matured and been looked after in such a caring way that has to be one of the most pleasing venues to the eye I know. Each swim was now created so they still retained a natural feel and with the bankside bushes being pruned correctly had spread out creating plenty of cover from the next peg. The colour of the water was also how I remembered it, cloudy yet the long walk I so hated had now been removed with the creation of a car park close by. Amazingly two other anglers were already set up when my dad and I arrived at 8am. My mate Chris had fished the venues a couple of years before taking a few 20lb plus carp during the colder months and mentioned a small bush that had fallen into the water, in the deeper water to the right of peg 6 that he found winter success in. I recall the swims on the road bank, half way down where the lake narrowed and held no swims on the opposite bank as being the best but felt it would be wrong to ignore such sound advice. Dad headed a few swims further down, happy to cast out helicopter rigs in search of roach, yet it was the carp that were interesting me and soon two small PVA bags were positioned in hope of a result. After all the bad weather this winter, this morning was, well near perfect for angling, overcast and although cold at just 4 degrees, the lack of any wind made it feel almost spring like. I soon saw dads hand hovering over his rod shortly before swinging the first of numerous small roach to hand, yet even after casting every 20minutes or so my rods remained motionless for the first two hours. It was whilst having a cuppa and talking to dad that I heard my alarm send out a series of bleeps and noticed that the line on the right hand rod had gone slack so slowly tightened up and yes a carp was on. Having caught numerous commons from Broadwater off late I was hoping that a mirror would show but it wasn’t to be and once again a common slid into the net, not a big one but a welcoming return to the venue after such a long layoff. Once again the carp took a liking for a 10mm Nash Tandoori Spice high attract boilie tipped of with a small piece of buoyant corn fished next to a size 10 Fang-Uni hook attached to the soon to be released Nash Combi-Link that’s been proving so successful of late. In fact the rigs I was using were the one’s still attached to the rods from the previous day session at Broadwater where two more carp graced my net, so with a recipe that was working so well there I saw no reason to change. All that I did wish I had done was swap the 12ft Nash Entity rods with my 9ft Scopes as this water is narrow, around three acres in size and lends itself to marginal work. As I returned the carp I notice one poke its head out on the far bank, a rare site at Rookery in the winter, and never one to ignore an opportunity soon had a 10mm Crab and Krill hookbait and small PVA bag containing some crushed boilies sitting nicely on the spot. Twenty minutes past and the rods off and after a spirited fight a mirror finally graced my net. Having caught two carp in just over three hours it was time to take a few images of the lake and tackle and with the sun now breaking through the clouds and a phone call from the garage saying my car had passed its MOT we left feeling fully refreshed and eager for a return. Nothing technical in my approach. Can’t wait to return with my Scopes. Tip rings just touching the surface show up any slight movement. A welcome return taken down the edge next to the bush. Caught after casting to a showing fish. Targeting Pike on big rivers. Apart from the vast reservoirs of this country where pike grow big on a diet of stocked trout, finding a stillwater that gives the pike angler the opportunity of catching a fish of a lifetime, a thirty pound pike, are few and far between. Getting the opportunity to fish these either comes at a cost or is more like winning the lottery, so the angler has to look elsewhere, and the type of venue that creates the best possibility now, are large rivers. For most these are scary places as most struggle to read these and don’t have a clue where to start, yet as long as you stay mobile and look for obvious features then you cant go far wrong. Features come in all shapes and sizes. Some are obvious to the eye, like bridges and fallen trees, yet others like slacks and creases are far harder to spot to an untrained eye. Let’s look at the obvious ones first. Cover is what’s needed for pike to ambush their natural food, live fish, however although a visual feature such as a bridge, fallen tree, moored boats even a weir or lock cutting may have everything going for it, unless it contains small fish, it’s unlikely to hold pike, so its these that have to be located first. Most winters, on large rivers that contain silver fish such as roach and dace will see a migration to deeper water, a safe haven for them with plenty of food to feed on before they get the urge to spawn in early spring and this migration won’t go unnoticed by the pike that will follow. The best ways to find out where these small fish hold up in is to either ask at a local tackle shop, walk the banks whilst a match is taking place and ask the anglers if they are receiving any predator problems or if neither of these are available, walk the banks at dawn and dusk looking for small fish dimpling the surface. Once the area where the small fish are has been located, all the angler needs to do is look for any marginal cover; it’s then almost guaranteed that these will hold not just one pike but plenty. These areas where the small fish hold up in are often within town or city centres as these areas offer cover and protection from other predators like cormorants as well as giving slightly warmer water temperatures than remote areas well out in the countryside. This is great for the pike angler as the need for long walks is removed, however this doesn’t mean being lazy, as the angler that keeps on the move, investigating every likely looking haunt will catch far more pike than the static angler. If the stretch where the silver fish have migrated to is featureless then look at the stretch as a whole. If the flow has been pushed to one side then it has probably created an undercut bank, an area where pike can lay up waiting for a small fish to pass by. Silver fish will more often than not be in the slacker, deeper water, so look for a nice flat surface where the flow is slower or has almost stopped. Having found the area where both pike and bait fish live, the next big problem is how to go about catching these, especially when it’s prohibited to use live fish, even dead natural baits. This is a situation that I have been faced with on the River Wye in the middle of the city of Hereford, and not being a lure angler, have had to think about my tactics and how to present a bait effectively. The two main bait fish found in the river are dace and roach so sea baits as close to these have to be used. Dace are long slender silver fish which are best match to a Smelt and for roach I use the biggest sprat I can find. Static baits positioned on the bottom of the river such as Herrings, Mackerel and Sardines are completely ignored, so a bait has to be positioned well up in the water, often just a couple of feet under the surface, however this creates major problems for most. Most anglers try placing a fish under a float and trotting this downstream, yet the way a bait sits often looks unnatural and the flow means that the bait is constantly towed into the margins. The solution that I have found works best is to use two contrasting methods alongside each other, tactics although different seem to compliment each other and create a consistent response. The first rod is rigged up using a sunken float and consists of a large sprat lip hooked using a single size 4 hook which is suspended approximately two thirds up in the water. The second rod is fished in a sink-and-draw fashion around and over the suspended sprat; however this time a smelt is used mounted on two size 10 semi-barbless trebles. Although smelt are quite tough I wind bait elastic around the trace as this stops the bait from flying off the hooks after continuous casting. Since using braid for eel fishing I have been converted to the same for pike fishing as bites are far easier spotted on the sunken float rig and striking out of the bait and setting hooks is far easier. As you can imagine the sunken float sprat although stationary is moving enticingly up and down in the flow and the smelt bought through the swim is also moving but in a completely differently way and its this combination of movements that the pike seem to be unable to resist. There’s no shy bites here just vicious full blooded hits on both rods and before they realise that the baits not what they are feeding on its too late. I could have used a float paternoster rig to place the sprat up in the water, however I have always been worried that there is a chance that the line from the float to the weight could be bitten through, so with pike conservation high on my agenda, avoid this rig at all costs, unless of course you are using an up trace, and even with the sunken float, that reduces this risk I will still always use a length of abrasion resistant braid between weight and float to eradicate this. The fantastic situation with pike fishing on rivers and using this method is that if pike are in the swim and are hungry, you can expect a take very quickly. I have noticed that after casting out the sunken float and setting the drop of indicator, I then cast the smelt out using the sink and draw method only to turn the handle a couple of times before a pike hits this. It’s as if the sound of the first bait hitting the water alerts the pike, then the second splash along with the movement provokes an attack. Knowing this I now work on the principle that if I haven’t received any action after making a dozen casts around the sprat positioned on the sunken float I will move on. If I do catch then I will stay longer, and it’s often possible to catch three or four pike from the same swim before the action ceases. Such swims are worth visiting again at the end of the day; however it might mean using two sunken float set-ups and sitting it out for a couple of hours into darkness. This method isn’t just effective, its fun, keeps you fit and allows the secrets of a stretch of river to be discovered in a relatively short space of time and after a hard days pike fishing in this manner and with a few good fish having graced the net I can assure you will be returning home a very confident and contented angler.